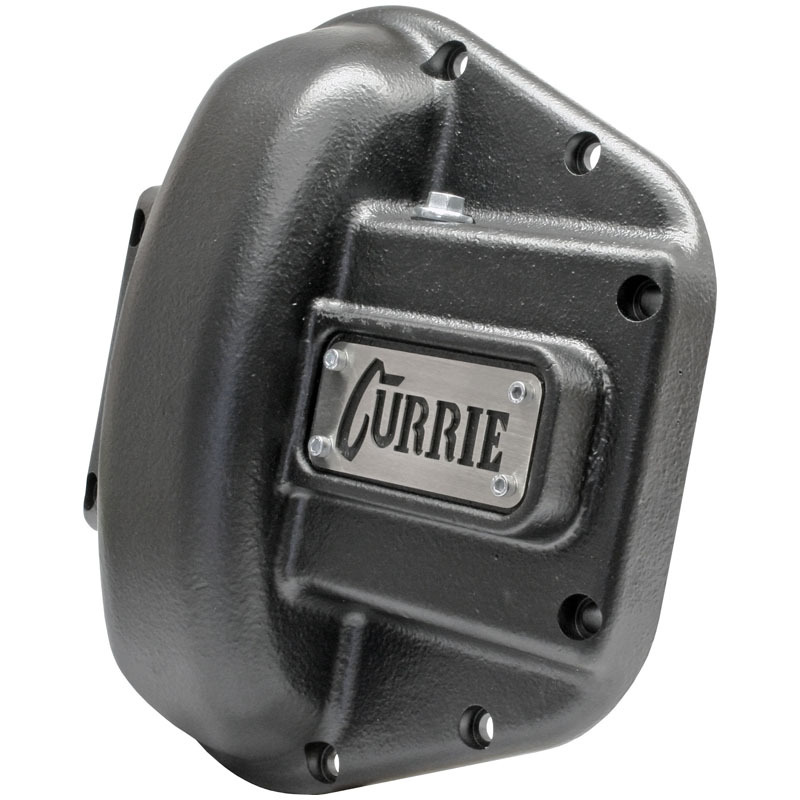 This 65-45-12 ductile iron covers are a clean, trim shape that provides ample clearance for front or rear Applications where steering or gas tank clearance is a concern due to its slim 3 9/16 inch height. Cover is finished in black semi-gloss Powdercoat. 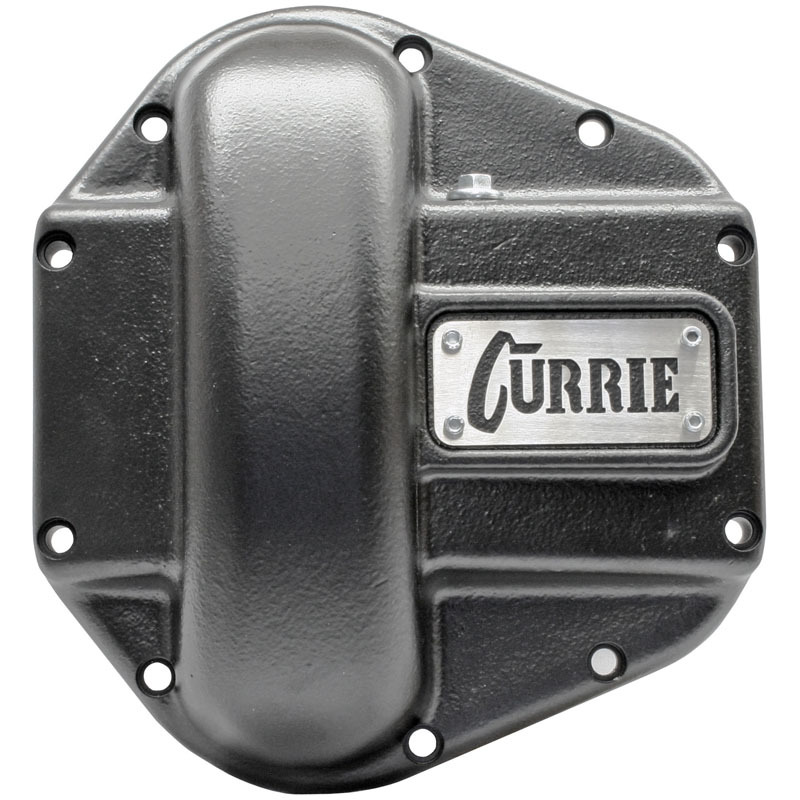 Currie badge is laser cut stainless steel. Gasketed fill plug with dipstick, socket head allen hardware and cover gasket included. 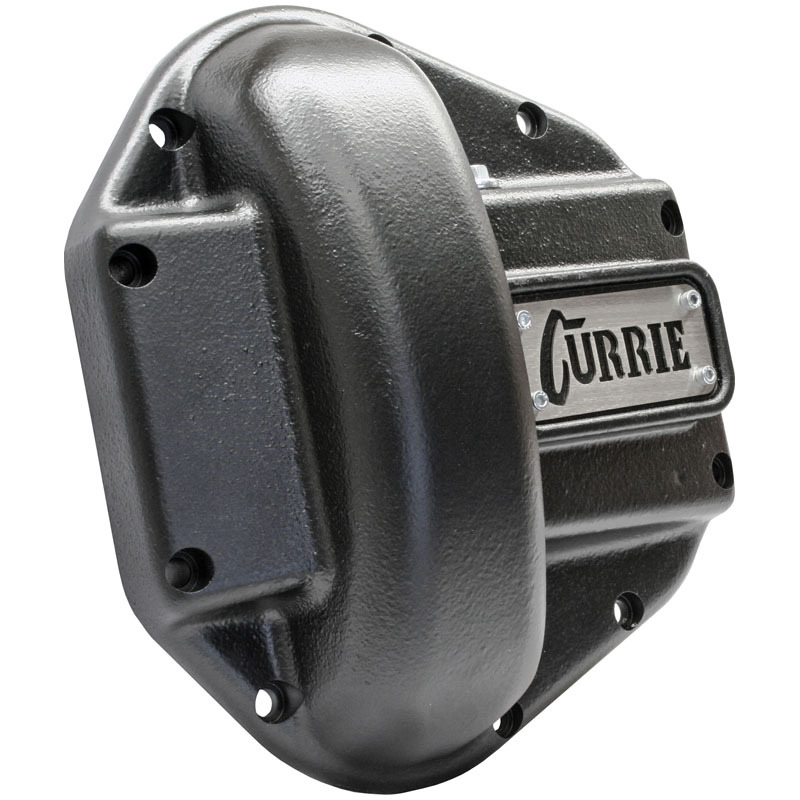 Fits all Currie RockJock 60 and Dana 60 high and low pinion housings as well as Dana 70 low pinion housings.